Finding the right Keller TX Self Defense class for you and your loved ones can be a very tricky process. It’s one you’re probably taking very seriously, and as a result, you may be having a hard time picking one that’s right for you. Are you beginning to worry about your safety, and you’d like to learn how to take matters into your own hands? If this is something that is frequently worrying you, we think you’ll be able to find a solution amongst Tiger-Rock of Keller. 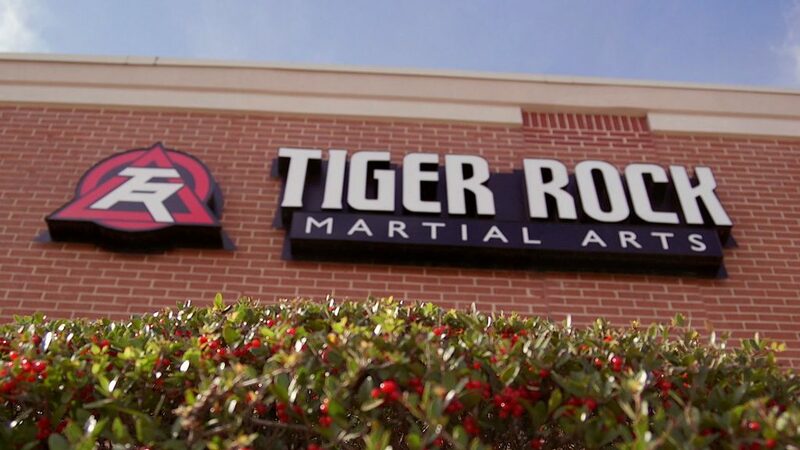 Tiger-Rock Martial Arts has been around ever since the year 1983. While we began as a simple, local dojo, we have since become the most popular martial arts franchise in America. You can count on us to provide you with the classes, courses, and resources you’ll need to get better and thrive in the healthy environment we have created. It’s important to learn the ins and outs of martial arts and self-defense if you want to be completely physically capable. If you’re ready to start getting better, our professionals are here to help you. In our society, it’s important to realize the uncomfortable truths of life. Because of this, you should know that you can never predict when an assault is or isn’t going to take place. Are you someone who walks home alone frequently? Maybe you only leave your house to get groceries, but you still sometimes worry about what will happen if you’re faced with danger. These can be very frightening thoughts to have, and it’s important to prepare yourself for whatever may come. If this is your priority, make sure you have Tiger-Rock on your side. Our team wants to ensure your safety, and we know how important self-defense is. As a result, we have put together a program that can help you discover the warrior within and steadily get better. We have high-intensity drills and exercises that help you get the reps you need to get comfortable with the idea of being in an impromptu, high-risk situation. Our instructors want to give you the experience you’ll need to avoid freezing up or hesitating in a real-life scenario. As a result, you can count on our classes to be intense, challenging, and highly effective. Are you someone who doesn’t exercise nearly enough, and you’re not very happy about this? Maybe you frequently have to stop for breaks when you’re on your regular walks, and your cardiovascular health continues to deteriorate. If this is something you’re struggling with, make sure you count on our team to give you a helping hand. We understand the importance of physical fitness, and we want all of our students to learn more about this. Signing up for our Keller TX Self Defense class could be the best way for you to exercise. While you might see this as only a way to learn how to defend yourself, it can be much more than that if you give it you’re all. These classes will put you through full-body exercises. Not only will you be developing priceless skills, but you’ll also get stronger, faster, and more flexible. Many of our students report dynamic changes after they take part in our classes over an extended amount of time. If you’re ready to start doing better, we highly suggest signing up at Tiger-Rock. The benefits of our self-defense classes in Keller TX don’t stop there, though. Are you someone who is always worried about mental fortitude? Maybe you keep having lapses in focus at work and school, and you’re beginning to feel like these mistakes are going to bear harmful consequences. This can be a big hurdle to get over by yourself; the mind is a powerful thing, and things can quickly go wrong when it turns against you. Make sure you prepare yourself for change by joining TRMA. 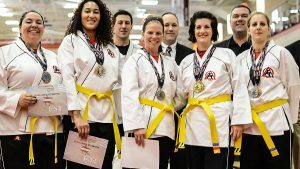 Taekwondo and self-defense are a lot more than kicking and punching. It is also a way for you to increase your focus, concentration, and confidence. These are all important things that nobody can give you; they only come with repetition and a genuine interest in getting better. Make sure you get the most out of your mind by signing up for our classes. These will push your body and mind to new heights that you didn’t know were possible. You’re probably trying to make sure you get into the right environment. As a result, you have every right to ensure you’re signing up to the right place. At Tiger-Rock, you won’t have to worry about hidden fees or long-term contracts that lock you into deals you want nothing to do with. If you’re still interested in our dojos but you don’t know what to do, ask about our introductory course package. This includes three classes followed by a performance evaluation! Visit Tiger-Rock today to learn more! If you’re looking for the best Keller TX self-defense class, you have come to the right place. Tiger-Rock Martial Arts is a reliable dojo you can trust to help you develop your skills and push you to be a better person. If you’re trying to get better but you don’t know where to start, our instructors are very eager to work with you. Contact our studio today to learn more about us and start your journey towards transformation. We’re ready to unleash the warrior within you! Located near the Double Springs, Keller was first started back in the 1850s. Our settlement was initially known for cattle raising, farming, and trading. The first establishment to be officially incorporated was in the 1950s. Joseph Knox was our initial mayor, and we have been developing as a community ever since. You can count on this town to give you the charm of a small city perfectly blended with the benefits of living in the big city. Located in Tarrant County, you will also have access to the Dallas-Fort Worth area. If you’re trying to find a small town with access to a metroplex, we’re here to help.